Sweden (where I live) is not very prone to have tornadoes. At all. We never ever have big ones and most tornadoes, if they appear, are usually water spouts coming ashore. In mid August we had a bit of a “tornado outbreak” here in the south of Sweden. Now, this is a tornado outbreak in Swedish terms meaning “several tornadoes and water spouts in one day”. 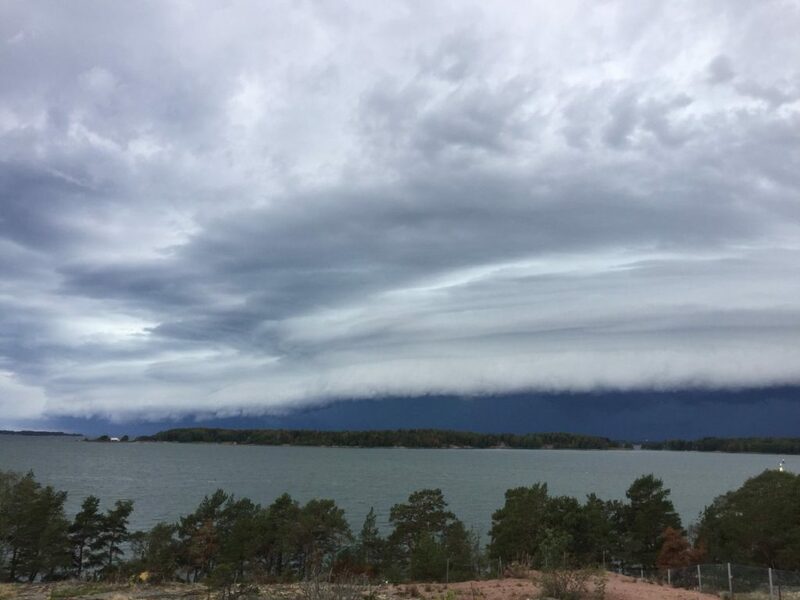 I did not see any of them at all but I experienced one MCS-type of thunderstorm with an impressive shelf cloud outside our summer house on Åland (which is an island between Sweden and Finland). 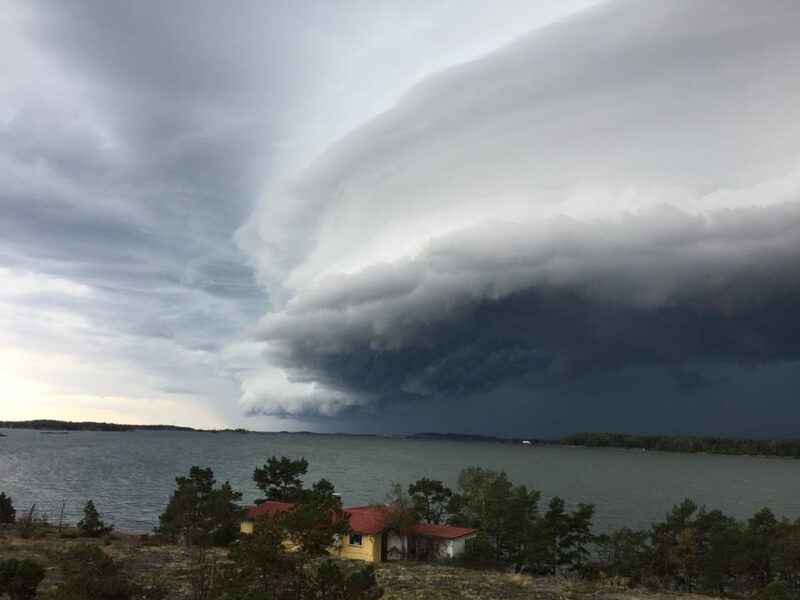 It was, by far, the best storm I have seen in Sweden/Åland in my entire life. It would have accounted for a rather decent day while chasing in the USA! Mariehamn, Åland (Finland) on August 7th. A shear (?) funnel less than a mile away. It was only visible for some 10 seconds but it was the first funnel cloud I have ever seen in Europe. The same photo as the one above. The funnel cloud can be seen just above the house. The entire shelf cloud in one shot. Note how there is a bulge in the shelf cloud in the center left. The shelf cloud as it moved in towards our summer house. It sure was an impressive sight! The thunder and lightning as it came over us was very intense as well and it literally shook the floor. 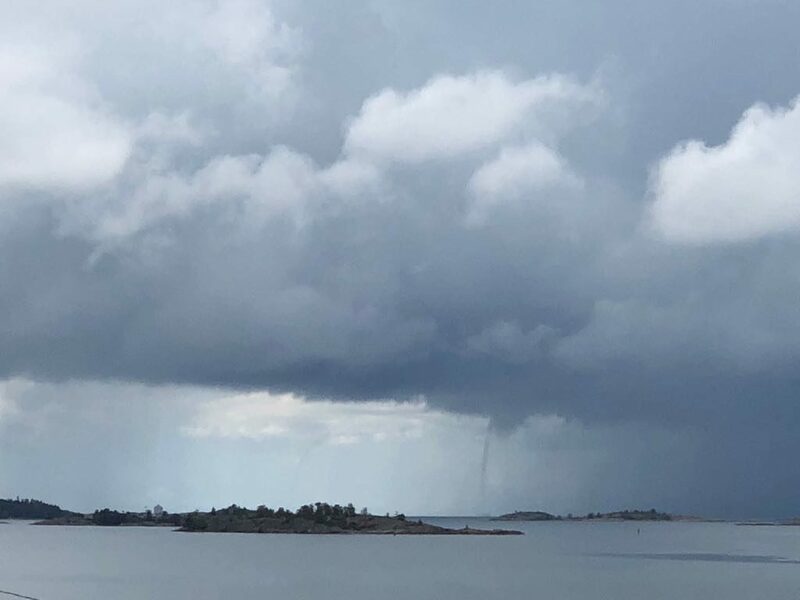 Two water spouts (the second one is low contrast but can be seen in the center of the image) outside Mariehamn, Åland. A few days later, when I was back in Malmö, there were a lot of small tornadoes and water spouts in the south of Sweden. Just as everywhere else, mobile phone cameras together with social media made it far easier to see photos of the actual tornadoes that appear. These are a few examples of tornadoes in the south of Sweden, not taken by me though, during this “outbreak”. This tornado was very close to an area we are about to move to (Höllviken) and I could almost literally have seen this from the porch in that case. Quite cool rope tornado! This tornado was near a popular beach and there were several photos of it on social media. In one you could see rotation on the ground so it was, in fact, a tornado. The most impressive photo of the day. 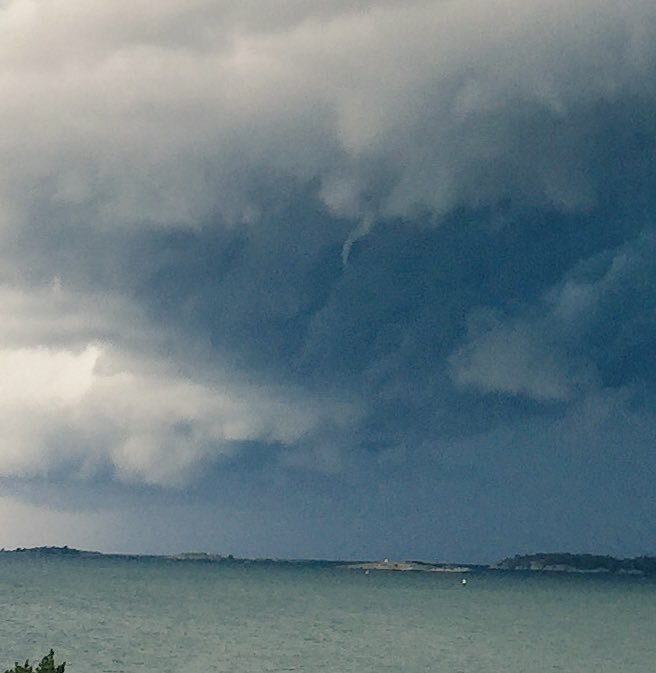 Three water spouts in different shapes outside of Karlskrona in the south east of Sweden. A friend of mine saw these as well. Water spout outside of the island of Gotland in the southeast of Sweden. Check out the height of this cloud! That is, the lack of height. The water spout stems from an incredibly small cloud.